Is Virtual Reality the Future of Dance? Those who think virtual reality (VR) is solely the province of gamers, adventure-seekers, and simulation builders may be startled to see how dance-makers are employing the technology on screen. 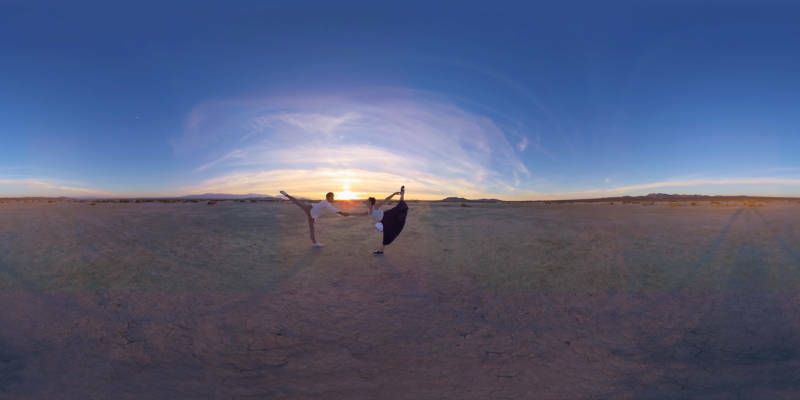 For the first time, the San Francisco Dance Film Festival, which opens on Thursday, Oct. 19 at San Francisco’s Brava Theater, will be screening a handful of 360° and VR dance films that play around with a variety of effects designed to yank the viewer into another world. I previewed these films with skepticism -- not just because of the ungainly contraption you have to strap onto your forehead to view them, but also because no film can replicate the thrill of live dance or the dancer’s sense of precariousness. “Unless you find something to replace that, it will always feel like a shadow of the real thing,” film director Saschka Unseld says. Unseld teamed up with director and choreographer Lily Baldwin to make Through You, one of the films to be screened at the festival. The pair sought to create an authentic sense of place and a palpable connection to the dancers by shooting on location. They also pushed the camera a lot closer to the performers than is typical and moved it in response to the dancers’ movements. This runs counter to the prevailing wisdom that these kinds of camera movements tend to make viewers motion sick. In addition, the filmmakers pushed the post-production process. They ended up with close to 200 cuts – versus the 10 to 20 cuts typical of the VR filmmaking process. This gives the film a dreamlike quality. 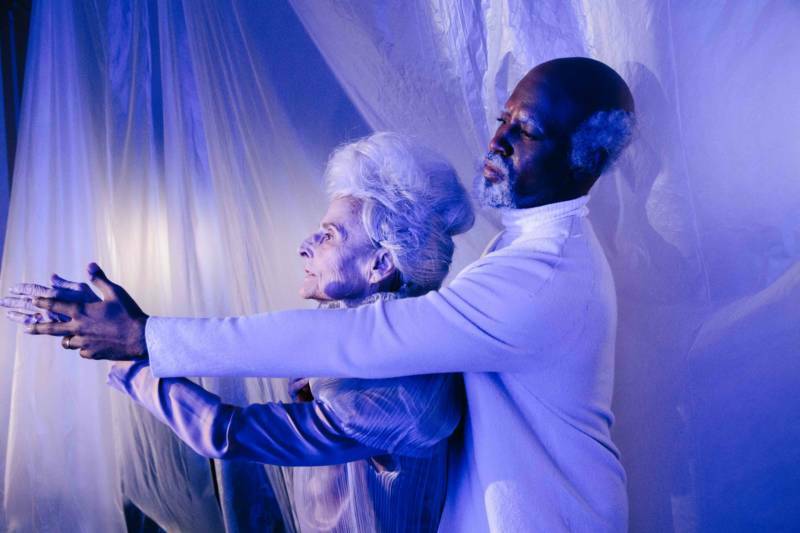 Through You is a cascade of impressions of a romantic relationship that unfolds from the 1970s into the future, telescoping time and capturing a couple as they age. Scenes are painted in vivid, painstaking detail, and bleed into each other in such a way that it is hard to tell what is memory and what is dream or hallucination. As a viewer teleported into these scenes, I felt somehow complicit in what was happening to the couple, and frustrated that I couldn't comfort them in the aftermath of loss. Though Unseld and Baldwin used visual effects in some of the scenes, like setting a room on fire, Baldwin says they refrained from embellishing the presentation of the human body: “The raw imperfections of the human body as seen in VR bring us back to our bodies, to our mortality,” Baldwin says. To get these ideas across requires “absolute clarity of image,” Baldwin says. This is where the technology falls down. Although VR headsets are becoming cheaper and more ubiquitous, display resolution falls far short of that which we’re used to on our laptops, tablets and smartphones. 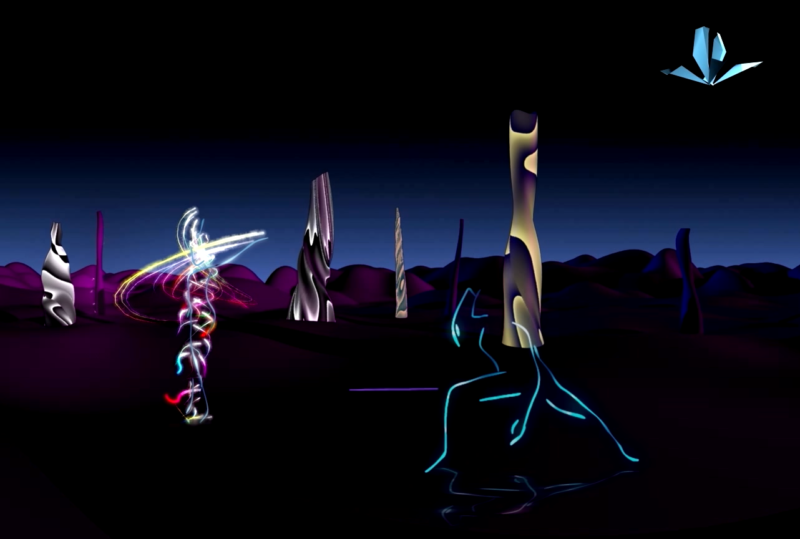 Some of the dances made for VR are available for viewing without a headset, but you trade the immersive quality of the virtual experience for a sharper image. Research engineer Bhautik Joshi, who builds software tools to help creative people tell stories through VR, tells me that the display resolution we’re looking for is probably about two years out. But he doesn’t see today’s technical shortcomings as necessarily hampering the impact of the best dance films. “If your film is compelling enough, even with a low-resolution display, if you can suspend disbelief in the viewer, you can get away with it,” Joshi says. I was swayed by this argument after watching a couple of the films. Lifeboat, a music video by Luke Willis, starring dancer-singer-songwriter Shannon Rugani, was shot against the landscape of what looks like a parched riverbed. I lost interest momentarily in the dance and started looking around, at one point looking down to where my hands and feet should have been. When I saw nothing but cracked earth, I felt the shock of disembodiment. From that point, I connected more viscerally to the dancers; they suddenly became more “real” because I wasn’t. And in Silent Resonance, a film from Pacific Northwest Ballet, visual effects enhance an intimate duet between two ballet dancers. As their limbs sweep through space and intertwine, they appear to leave a ghostly vapor trail (known in the industry as a ‘tracer effect’). 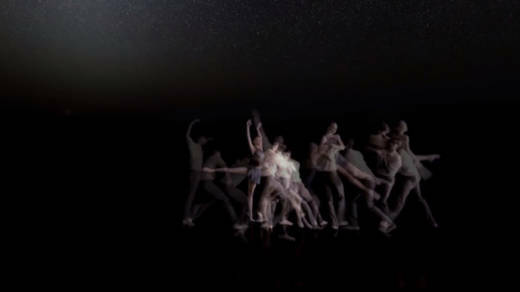 Floating in darkness, the disembodied viewer is drawn into the dancers' iridescent orbit – as if the pair were celestial bodies – in a way that conventional film would not. Even when there are no human dancers visible on screen, viewer disembodiment can amplify a mood. This is the case with Cecilia Sweet-Coll’s film Anicca, in which motion captured from dancers animates a mysterious and whimsical landscape. Then there are the dance films that seek to put viewers literally at the center of an unfolding tradition, rather than create a sense of disembodiment. Works like A History of Cuban Dance and the Paul Taylor Dance Company 360° Brochure offer viewers a unique perspective on the evolution of a body of work. Wandering around a virtual recreation of Cuba with a VR headset on gives you the powerful sensation of the live experience of dance – with no barriers between musicians, dancers and audience. In an amorphous performing space such as the street, I felt I could be drawn into the dance at any time. I ended up enjoying a number of the festival’s VR offerings. However, this is likely not a watershed moment for VR in dance. The hardware is still clunky, and the technology not within economic reach for most people involved in dance filmmaking. Yet interest is growing in “immersive” experiences and site-specific dance, and VR will likely become an increasingly powerful tool for nimble dance companies focused on aggressively building their digital footprint to reach broader and younger audiences. The San Francisco Dance Film Festival runs from Thursday, Oct. 19 to Sunday, Oct. 22 at the Brava Theater in San Francisco. Bhautik Joshi and Elly Nattinger will be among a group of panelists, including filmmakers, discussing the festival’s VR films on Sunday, Oct. 22 at 2 pm. More information here.